When looking for a product such as an electronic machine or say a guitar, it is more likely that you would go for the best or most popular brand. Below are some of the best guitar brands in India in brief descriptions with links leading to their respective products. I have also included a section for world’s 5 best brands, each for acoustic and electric guitars. Always keep in mind that when it comes to making and manufacturing guitars, the ones that are on this list are the high-end brands and are definitely the best. They have made a huge impact to the guitar world, and they are doing a hell lot of work, effort, and research to make sure that the guitar they produce would perfectly fit the taste and wants of their clients. In short, the brands that have been chosen here on the list are on top of their lines. With that said, I have taken all efforts to show you which guitars are best on their respective categories. This should help you easily identify what brand you would want, and would be the most suitable for you. But before that, here are 2 main things to consider before checking out the brands here. And here are 3 exceptional brands you wouldn’t want to miss! 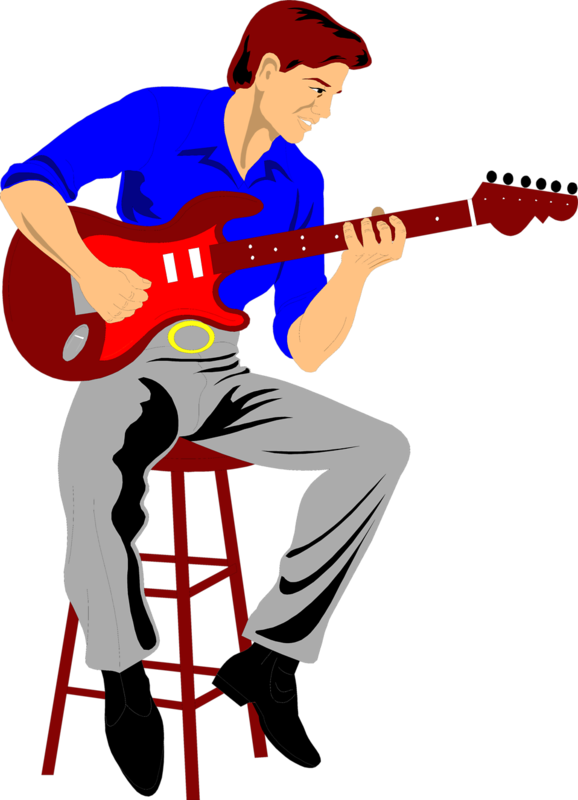 An acoustic guitar is very different from an electric guitar. Both has its strength and weaknesses, as well as its genuine and unique sounds that will make you appreciate more music. Get a hold of yourself and decide on which one you would be getting. Think about the genre or type of music you’re getting into. Finalizing a price range or budget will definitely help you outsource or check different brands. Ranging from the expensive to the less-expensive ones, having to a buy a branded guitar is frankly gonna be costly and you should be able to prepare on what would you be getting. Have a price range on how much you are willing to spend so you won’t end up picking randomly. Now, here are the brands that I have gathered, along with a brief info about each of them. Epiphone guitars have been known as the affordable sub-brand of the Gibson company. But it has been in business back then toe to toe with Gibson and Fender. This company has been making very affordable and cost-effective guitars and is being used by many great guitar players and singers with the likes of John Lennon and The Beatles, Garry Clark Jr., and Bob Marley and the Wailers. This is an American based company that is involved in the manufacture of not only guitars but also other musical instruments such as banjos, amplifiers, mandolins effect units and much more. It was established back in +1873 and has its head quarters in Tennessee USA. The brand is not only well established in India, but also produces its products and services to the global market. You can click on the below link to view some guitar models by Epiphone. This is another guitar brand that is quite famous in India and is among the best. It is based in South Korea, with the company specializing in the manufacture of bass, acoustic, and electric guitars. The company was founded by a person with the name Jack Westheimer and currently trades its products and services in the global market. Cort CR230BK and Cort X-I RD are just some of the guitar models by the brand. You can get more information on such products by clicking on the link below. The Fender company is the largest guitar manufacturer in the world and has produced the world known Fender Stratocaster and Fender Telecaster guitars. The company has been the backbone of many musicians when it comes to producing high-end guitars and most of them have chosen Fender as an axe of their choice, many famous artists with the like of Jimi Hendrix and Eric Clapton have been using Fender Stratocasters. This company always makes sure their work is as good as it gets and on top quality with their competitors. The Ibanez guitar is one of the most famous electric guitars in the rock scene in Japan and also across the globe. The brand has been used by great guitar heroes of the time with the likes of Paul Gilbert of Mr. Big, Steve Vai, Joe Satriani, and Andy Timmons. The brand is hugely known by rock guitar players and is associated with a really badass design and sound. One of their most famous guitars is the Steve Vai signature the JEM and has been one of their biggest selling metal guitars of all time. The Yamaha company has been regarded as one of the most influential acoustic guitar makers for students and affordability. They make excellent guitars for starting out guitar players and students. Some notable musicians who use Yamaha acoustic guitars are Ed Roland of Nickelback and Joe Bonamassa. Yamaha is a multinational corporation and conglomerate that deals with a variety of products and services that have a huge influence in the global market. It is based in Japan and has over the years gained a huge deal of impact in the Indian market for guitars and musical instruments. Guitar models such as Yamaha F310 are products of the Japanese based company. To find more details on similar Yamaha guitars, click on the below link. There you go with all time top selling and best acoustic guitar brands in India. Now we go to the best acoustic and electric guitar brands not only in India, but in the world. Let’s go to the best acoustic guitar brands first. Playing an acoustic guitar is a journey from choosing to purchasing and to rocking it out with a guitar pick. Below are the top 5 best acoustic guitar brands of all time. The Martin guitar has been around since 1883, which was started by Christian Frederick Martin and is the first ever acoustic guitar made in the USA. Today, the Martin guitar has been dedicated to working on high-quality acoustic guitars and has been in business for a very long time. Over the long history of the guitars, they have been played by many famous musicians and folk singers, with the likes of John Mayer, Ed Sheeran, David Crosby, and More. The Ovation Guitars made their name by making and developing a material similar to those of fiberglass, and they used this material instead of wood and springily has produced really good sound. But don’t get us wrong, as they still use wood on the tops of their acoustic guitars, the wood and Lyrachord (fiberglass) has made the tone of Ovation guitars sounds really good! Ovation guitars have been played by many artists with the likes of Cyndi Lauper, Bob Marley, Chet Atkins, and Al DiMeola. The Taylor guitar was founded by Bob Taylor and Kurt Listug in 1974 and since then had made their mark on the acoustic guitar world by creating high-end acoustic guitars. To this day they are still renowned for the tone and quality of their instruments. They also have been well known for using precision tools by using computer mills producing affordable but high-quality guitars. Artists with the like of Jason Mraz, Taylor Swift, and Dave Matthews really digs the sound produced by their Taylor guitars! The Gibson company has been one of the best producers of acoustic guitars in the world and has first released their flat-top guitars shortly before 1910, but in those days, Martin was more popular. In 1923, they had a huge break into the flat-top aces guitar market and began to give Martin a notice and competition. Gibson has since then wrecked the industry producing high-quality acoustic guitars after the other! Some notable artist who uses Gibson acoustic guitars are the likes of Elvis Presley and Bob Dylan. The Washburn company has been regarded as one of the oldest guitar company around. It first started in 1883 in Chicago Illinois making mandolins, guitar and other stringed instruments. They are nowadays owned by JAM Industry USA and has been making many good sounding Acoustic guitars. Making a good guitar is hard ,thus the Washburn company continues to step up on their unbroken lineage of high quality acoustic guitars with the likes of Madonna Nash and Forrest Lee JR. There are more outstanding acoustic guitar brands out there, but the ones on this list are the best interns of popularity and playability. If you are planning on getting an acoustic guitar yourself, check out the brands above and research more on them. Always check what guitar is suitable for your playing and taste. Electric Guitars are much more sensitive than acoustic guitars and must thereby be approached in a different manner. Below are 5 of the Worlds Top Brands in the Electric Guitar Category. The GnL guitars was actually born from the CLF research company of Leo Fender founded in 1966. This marked the final chapters of the renowned guitar maker’s career when he launched it in 1980. All his creations sky rocketed in the 80’s and has became icons of music loved by musicians around the country and the world. Today the company is still where it is at his historic factory on Fender Avenue in California. The Music Man company was originally named in 1974 with Leo Fender, Tom Walker and Forrest White. They made fame by creating an amp called the “Sixty Five” and since then moved to the creation of electric guitars. They continue to make high-end electric guitars having the likes of Steve Lukather of Toto and John Petrucci of Dream Theatre who have been really hooked with them. Their most famous guitar are the Musicman JPX series and the “Dargie Delight” version signature guitar by Steve Lukather. The Paul Reed Smith guitars were built in 1985 just two years after the famous Stratocaster by Fender have been created. Since then the company has been a great asset to the guitar world and has been the 3rd largest guitar manufacturer in the USA. Their guitar was used by world famous guitarist with the likes of Carlos Santana, Al DiMeola, and Gary Moore. The Rickenbacker Int. Corp was founded in 1931 by Adolph Rickenbacher and George Beauchamp as the Ro-Pat-In Corporation (ElectRo–Patent-Instruments) and is based on Santa Ana, California. They are the first known makers of electric guitars in 1932 and has produced a huge number of both electric and bass guitars. The guitar company was favoured by the likes of The Beatles and Gerry and the Pacemakers. The ESP guitar company was founded 43 years ago in 1975 and is a Japanese guitar manufacturer. Like many other Japanese companies, they are dedicated to perfection and high performance musical instrument both electric and bass guitars. They are located in Tokyo, Japan and they also have base in Los Angeles, California USA. The guitar company is famous in the metal and punk music scene, having artist like James Hetfield of Mettalica and Stephen Carpenter play them! These electric guitars have stood out above its competitors in terms of performance, playability, and quality but there are tons more of exceptional boutique electric guitars. The reputation of the brands here is unquestionably the best. With that, we assure you that these are the best! The Guild guitar company started in 1952 by Alfred Dronge and is on par with Martin and Gibson in-terms of acoustic guitar quality and sound. The company started in New York and since then have produced tons of awesome and really good sounding guitars. The company is currently also under the Cordoba Music Group (CMG) based in Santa Monica, California. Well-known artist such as Jeff Buckley, Stevie Ray Vaughan, and Slash have been playing these guitars. The Seagull brand is a young company that is starting out its name but has been making handmade quality acoustic guitars. The Seagull company is, in fact, a company rooted in Godin guitars. Robert Godin founded Seagull in 1982. This guitar company sets itself from other companies by making their guitar from the budget ones all the way to the top of the lines by hand. Another thing is they outsource their works and the woods they use is from sustainable resources. Nowadays they are on par with Taylor, Gibson, and Martin and is competing with good sounding hand-made quality acoustic guitars. The D’ Angelico guitar is manufactured in Manhattan New York and founded in 1932 by John D’ Angelico. They produce really high-quality electric guitars and has been a boutique guitar worthy of collecting. Famous artist like Eric Clapton, Chet Atkins, and Chuck Wayne have been seen using and collecting them. 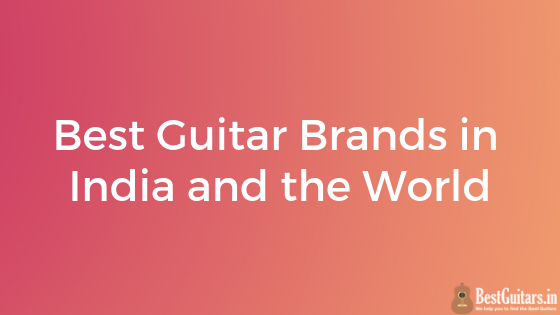 There you go with the top guitar brands not only in India, but in different parts of the world! I hope this comprehensive list inspired you and helped you decide on which would be perfect for you. Learn to play guitar from your home! Why spend thousands of rupees every month learning guitar from a local guitar instructor when you can learn from 92 World Class instructors online and learn over 400 different topics from the comfort of your home? All this under just ₹1,500 ($20) per month! New to the Guitar World? 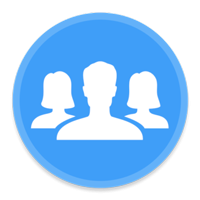 Join our Exclusive Guitar Facebook Group for FREE!